Lining out trees. Also suitable for garden centres. 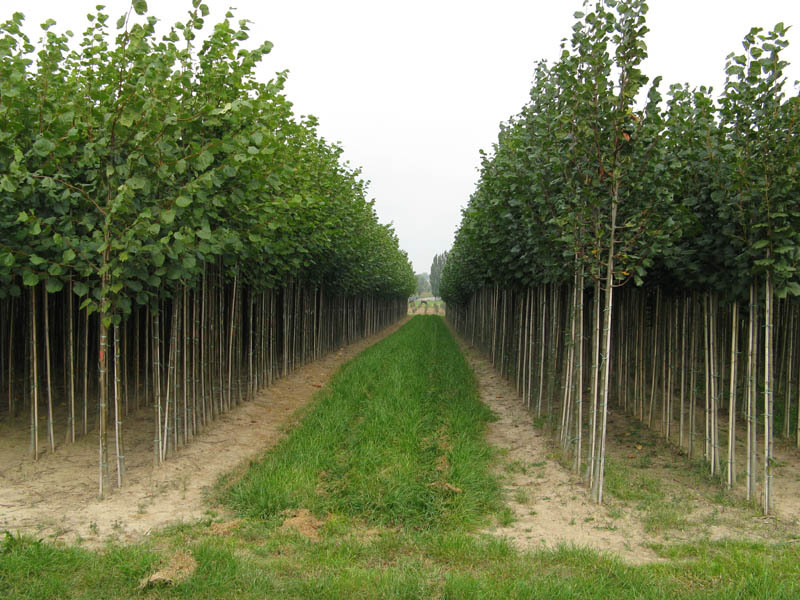 Tree Nursery Roelofse-Jager supplies a wide range of avenue and ornamental trees (see Assortment list). 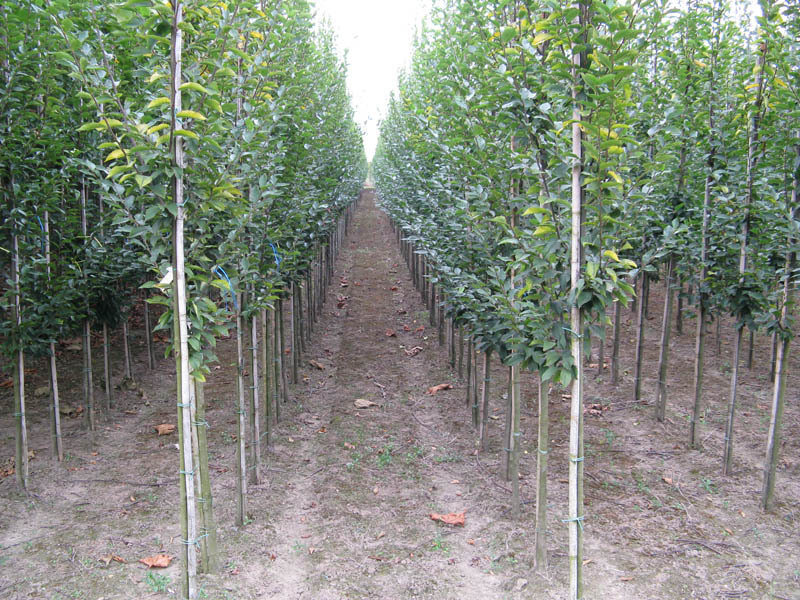 We are able to supply uniform batches in large numbers of 6-8-10-12 cm thick trees. These are suitable for both planting, container cultivation and garden centres. 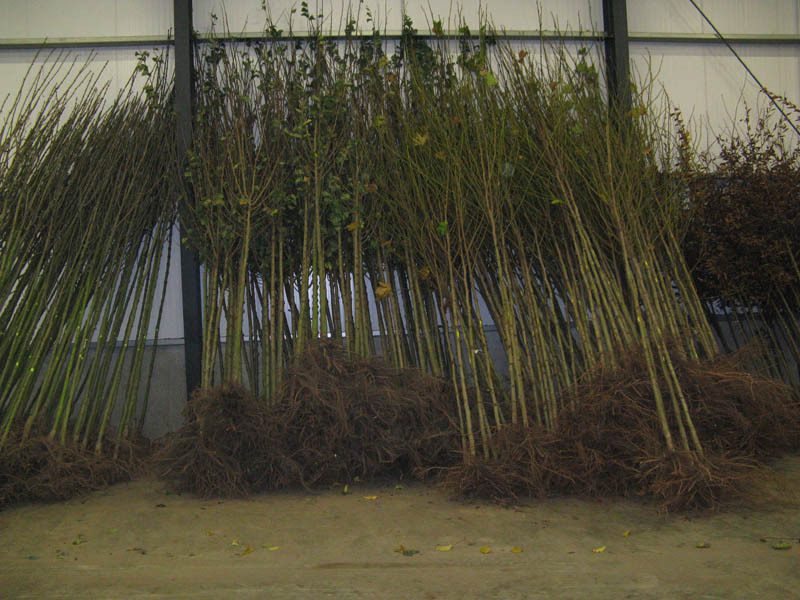 We supply good quality trees that stay upright on the rootstock. 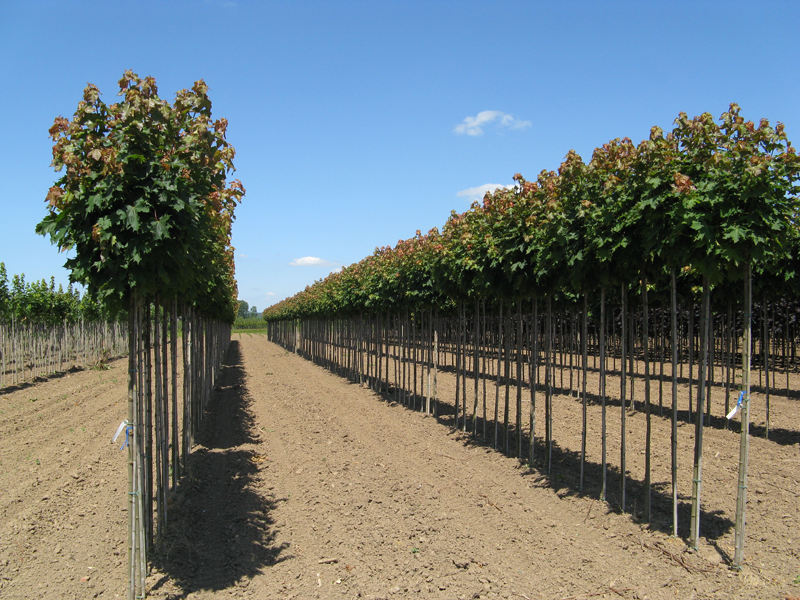 The pruning method we apply forms the basis for a good crown with many fine lateral branches at the right height. The tops are tied at the appropriate time and if necessary provided with support. 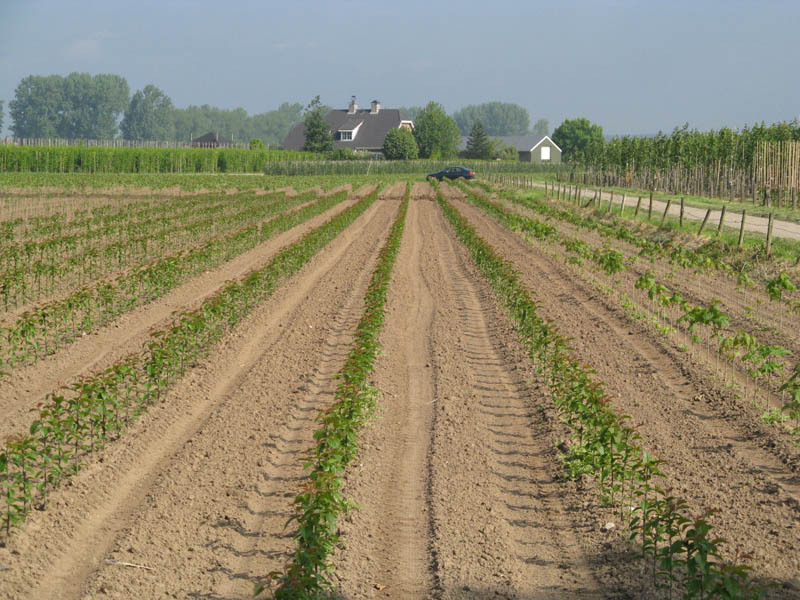 Our trees have a well-branching root system which is important for good renewed growth. We can supply the same range of products of the same quality for container cultivation. We can supply you with an attractive range of products taking into account the current trends, and with photo labels if required. (see Assortmentlist). Acer camp. ‘Nanum’, Acer plat. ‘Globosum’ ,Catalpa big. ‘Nana’, Fraxinus ex. 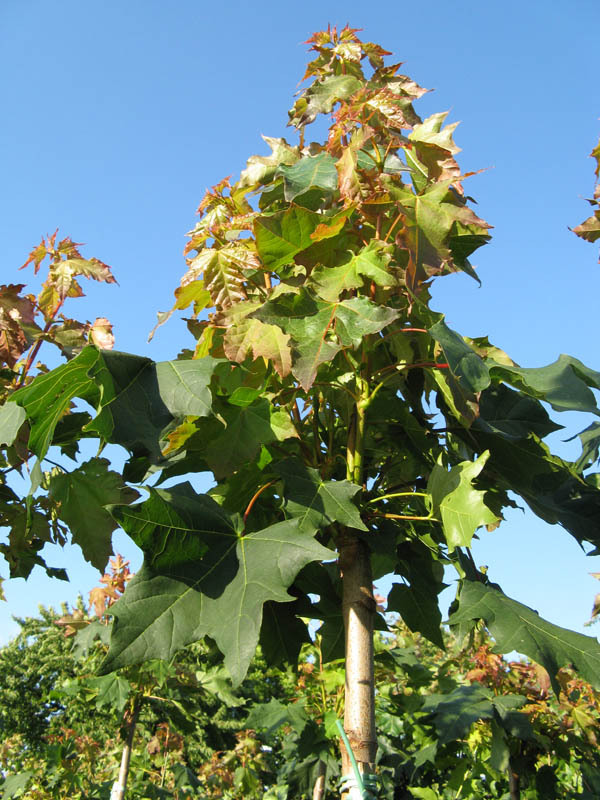 ‘Nana’, Fraxinus ornus ‘Mecsek’, Liquidambar styr. ‘Gum Ball’, Platanus hispanica ‘Alphens Globe’, Prunus fruticosa ‘Globosa’, Quercus palustris ‘Green Dwarf’, Robinia ps. ‘Umbraculifera’. 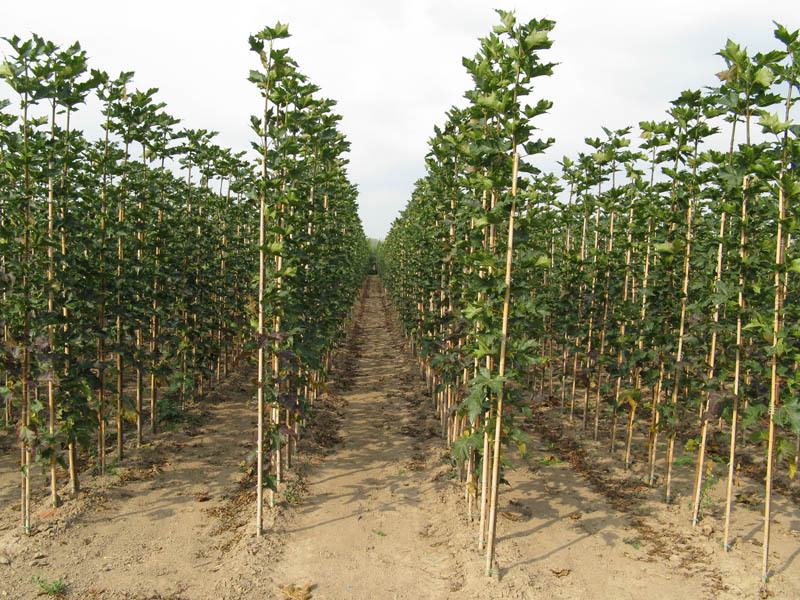 At our nursery we select the appropriate trees and form them into the desired form. 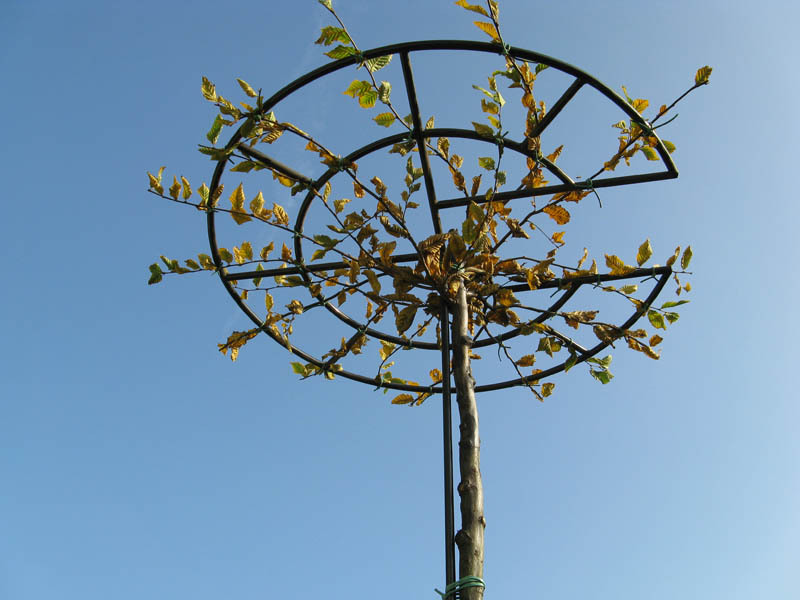 The shaped tree has a uniform frame, enabling us to supply a consistent product. The frame is constructed of strong material. Carpinus betulus in trained form and umbrella shape. 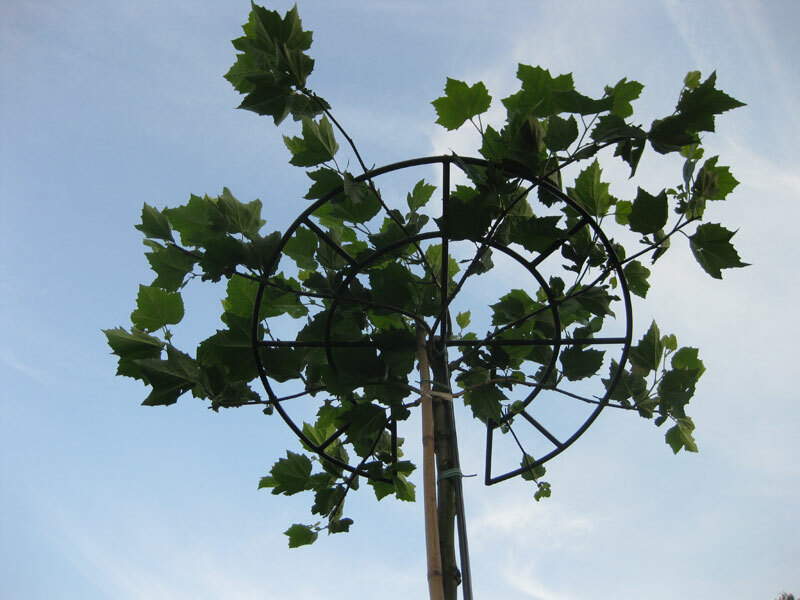 Platanus acerifolia(hispanica) in trained form and umbrella shape. Pyrus call. ‘Chanticleer’ in trained form. Tilia in varietes in trained form.